The state of affairs in American politics these days has led me to do more reading about Abraham Lincoln. I’ve been reminded of what an incredible example of character and persistence he demonstrated for the greater good while the country was in the darkest, most deadly and deeply divided state in all of American history. He demonstrated powerful and enduring lessons for leaders in all situations, whether political, business or nonprofit settings. Mental Health – while he dealt with massive personal and political stress and misfortune, this assisted Lincoln with an enormous capacity to cope, which led to his high empathy for others, tolerance of pressure, disagreement and even disloyalty in his Cabinet. He also had the ability to work closely with those who provided what was needed, regardless of whether or not they liked or respected him. 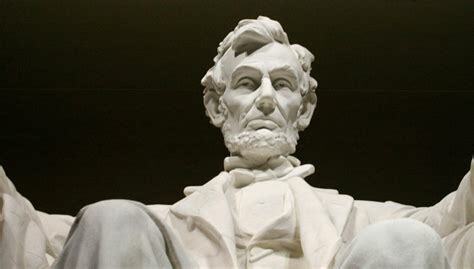 Renewal – Lincoln regularly took time to sit with his wife and children, even in the most difficult times, to renew his spirit, broaden his perspective, and escape from the grueling schedule and realities of the times. Insight – Lincoln had an uncanny ability to know himself and others (gifts and limitations). He understood the blind spots of his opponents and used that to his political advantage. He also used their gifts in situations that were needed. Salmon Chase resigned three times, but Lincoln refused to accept it due to Salmon’s effectiveness, but upon the fourth resignation, Lincoln called his bluff and accepted because Chase was then attempting to split the party. Intentional Disruption – by recruiting his “team of rivals” he knew there would be conflict and disagreement. He also knew that great creativity and problem-solving potential comes from diverse thinking. An added benefit was that his patience with adversaries would lead to some becoming intensely loyal followers. Loyalty – He knew that he couldn’t demand loyalty, and in many cases it wasn’t loyalty that was needed. He understood that “forced loyalty” is not what freedom of choice, speech and thought were about. Make Deals – Lincoln was not above doing things that were unethical to get legislation passed for the greater good of the country. He knew what he was willing “to give” in order “to get.” While I was originally upset to learn this about him, considering that the United States was on the edge of collapse, the stakes were never higher. To what lengths would you have been willing to go in those circumstances? Perseverance – Some Cabinet members had to be asked repeatedly to join the team. He pursued who he needed relentlessly with patience, a willingness to endure immense pressure, and with deft strategy. Lincoln accomplished what perhaps no other leader of the time could have. How different might our history be without him? What’s in here for you today? You have the ability to make choices that can rewrite your personal and professional story ending so that it’s more powerful, meaningful and filled with hope. Keep going. Our world needs your strong leadership! This blog shares perspectives on how you have the ability to create new story endings that are meaningful, powerful and filled with hope. Is your organization needing to change its culture or create a transformational plan? That’s what I help organizations do…I facilitate culture changing processes that help organizations achieve greater impact. Also, I provide leadership coaching to help executives and aspiring leaders become the fullest expression of who they’re intended to be.